Simply come to one of the following locations during Weeks 2-10 of Fall/Winter/Spring Quarter at the times listed below. There is no peer tutoring during Finals Week or on holidays, including Wednesday night before Thanksgiving, and there are no extra hours Week 10. Science Library (Center for Excellence in Writing and Communication) Mondays 10:00 a.m.-12:50 p.m., 1:00 p.m.-4:50 p.m.
Tuesdays 9:00 a.m.-2:20 p.m., 3:30 p.m.-4:50 p.m.
Wednesdays 9:00 a.m.-12:50 p.m., 1:00 p.m.-4:50 p.m.
Thursdays 9:00 a.m.-2:20 p.m., 3:30 p.m.-4:50 p.m.
Langson Library (Room 229) Sundays 3:00-5:50 p.m.
Anteater Learning Pavilion (Room 3750) Monday-Thursday 5:00-7:50 p.m.
Langson Library (Room 229) Monday-Thursday 5:00-7:50 p.m.
Middle Earth (Arkenstone) Monday-Thursday 6:00-8:50 p.m.
Mesa Court (Mail Room Conference Room, G411) Monday-Thursday 6:00-8:50 p.m.
Walk-in writing consultations are available from the Writing and Library Research Undergrad Specialists (WALRUS), also known as “peer tutors”. UCI undergraduates at any level can come to one of five locations at the times designated above to get feedback on any kind of writing, free of charge; however, be advised that you may have a longer wait to see a peer tutor closer to midterms and later on in the quarter. 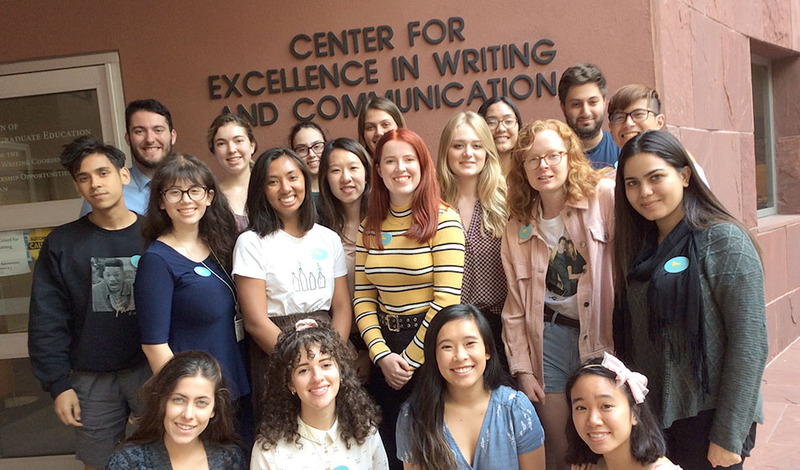 Students learn well from other students, and peer tutoring of writing has succeeded in writing centers at many institutions across the country. This isn’t handing off your paper to your roommate for fixing–peer tutoring is a rigorous and carefully researched field of educational practice. We begin with excellent tutors (juniors, seniors and graduate students) from various majors with proven writing skill, maturity, and good judgment. Our tutors have undergone a training course and meet weekly with a professional coordinator for consultation. Bring a writing or research assignment, a paper draft, or a completed paper that needs revision. Tutors are available on a first-come, first-served basis. See the link below for a list of what tutors will and will not do with your writing.